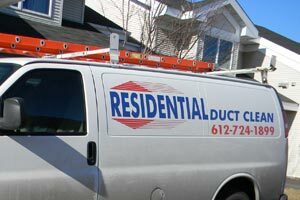 Save on the BEST duct cleaning services in Minneapolis St. Paul. Smokers living in the house. Residents with allergies or asthma to dusts, pollen, or pet dander. Major home renovations or remodeling work done to the home. Constant and significant dust accumulation inside the house. 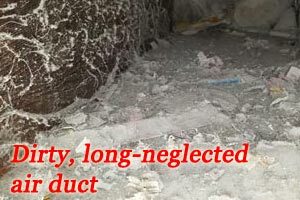 How can we determine if the air duct cleaning was effective? – The best way is to perform a visual inspection before and after the job is complete. If any dust or debris can be seen during the visual inspection, the system should not be considered cleaned. 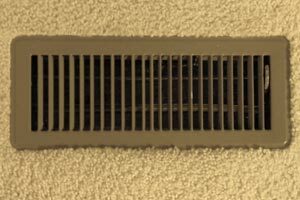 A well-cleaned air duct system will leave less dust on your home surfaces, including floors and furniture. If you have allergies, you should be able to breathe more easily after a thorough cleaning. Will there be any hidden costs? – The only cost not included our prices is tax. The prices quoted on this website for residential cleaning are the cost before tax. When a service is requested, a written estimate is provided to show all prices in detail. Do you use tarps to cover the floors? – Yes, we use tarps for duct cleaning and fireplace chimney sweep. Do you take the registers off? – There is no need to remove the registers for our $99 Air Sweep or Rotary Brush cleaning. The air-wand that is used is about ½ inch round and there is no need to take off the registers. The volume of air used will be more than sufficient to clean the branch line and the register while it is on the wall. For the ultimate Xtreme cleaning, all registers must be removed. Do you cover the registers? – No, because it can cause damage to the registers and possibly the walls if paint overlaps onto the registers, or if they are painted. How long have you been in business? – Residential Heating and Air Conditioning, the parent company of Twin Cities Duct Cleaning, has over 25 years of full service in heating, ventilation and air conditioning in Minnesota. We have been serving customers in the Minneapolis St. Paul area with the highest customer satisfaction rate. We provide both residential and commercial air duct cleaning at affordable prices. Is my house going to get dusty during the cleaning? – No, the vacuum remains inserted in the trunk-line throughout the process, so the dust and debris will be vacuumed into the collection bag in our van. How is your company different from other contractors? – First of all, we are not just an HVAC duct cleaning company like most companies that offer similar services. We are a full-service heating, ventilation and air conditioning company, based in the Minneapolis St. Paul metro. We have a cleaning department that specializes only in HVAC cleaning and maintenance. We also have a service department that specializes only in heating and air conditioning equipment diagnosis, repair, and certifications. Our HVAC installation department is responsible for installing new furnaces, air conditioners manufactured by Carrier, Lennox, Goodman and other manufacturers, and for installing any ductwork or HVAC accessories. We are a well-established business that is licensed, bonded, and insured. We are locally owned and operated. As an award-winning heating, cooling and HVAC cleaning company, we are a long-standing member of the Better Business Bureau and the National Air Duct Cleaners Association. What is your service area? – We cover the entire Twin Cities metro seven-county area, including Hennepin, Dakota, Ramsey, Anoka, Scott, Washington and Carver county. For over 25 years, we have been serving homeowners across the metro, from Mounds View, Arden Hills, Fridley and New Brighton to Hopkins, Bloomington, Edina and Burnsville, and from Inver Grove Heights, Maplewood, White Bear Lake and Cottage Grove to Maple Grove, Orono, Loretto and Plymouth. Keeping the air circulating in your home as clean as possible, free of dust, allergens and other contaminants, is a job for the professionals. As the most reputable duct cleaning company in Minnesota, our dedicated, highly trained technicians make sure every job is done to the highest standard and complete customer satisfaction. They’re equipped with the state-of-the-art equipment needed for this important job. Unlike some contractors that offer duct cleaning as an add-on to other home services, we’re part of Residential Heating and Air Conditioning, a leader in residential HVAC system installation and service. Call us today for the very best services at great low prices. Don’t settle for less; insist on the best.